Heading off for school (or maybe your kids are) and looking to decorate with a little greenery? 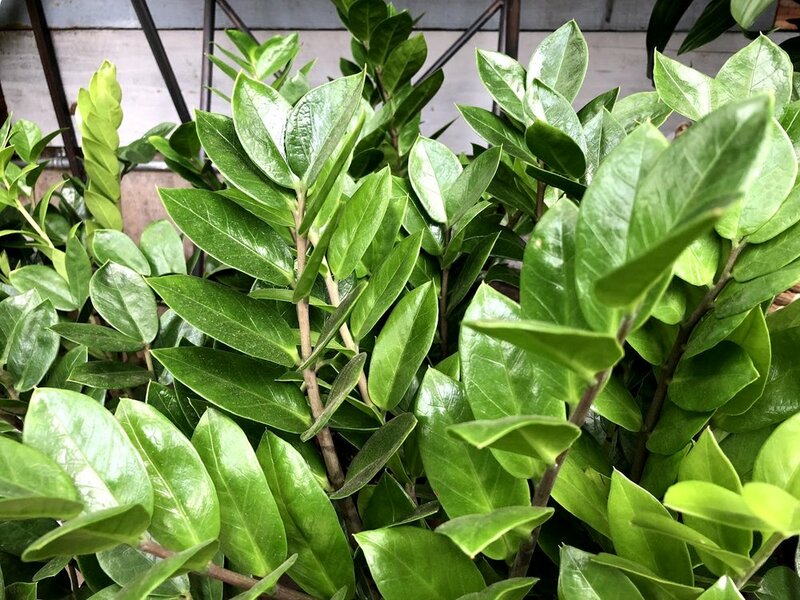 Here's our top picks for houseplants that don't require a lot of care and attention because let's face it, you're going to have a lot on your mind! We love aloe vera not just for it's looks but its first aid boasting skills too! An easy-care succulent that can live in a variety of conditions with no hand-holding in sight! Light: A lover of bright light, keep it near your window for optimal sunshine exposure! Water: This baby doesn't want to wade in water all day, so allow it to dry out between waterings. Looking for a pop of color for your space? These tropical beauties are more low maintenance than you think! Check out Bromeliads 101 for more info on the care and keeping of these terrestrial plants. Light: Choose a spot with bright, indirect light. Water: Water them from the top, pouring into the “cup” at the base of its leaves. They store their moisture there, so ensure that water is always present in its cup. For small Bromeliads that means roughly an inch, for larger plants maintain a few inches. 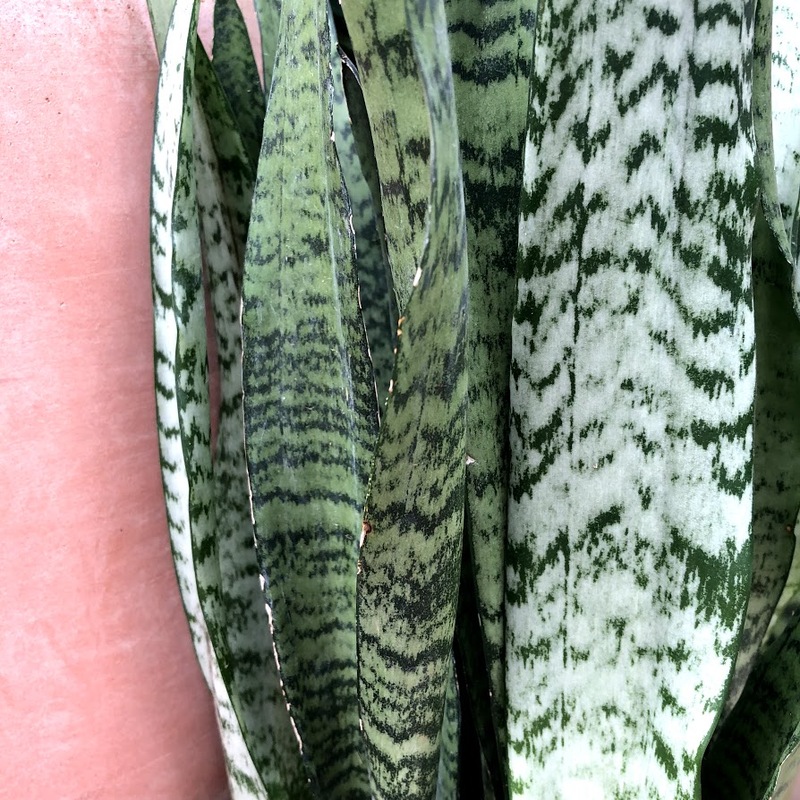 Also known as a Snake Plant or Mother-in-Law's Tongue, the Sansevieria is one the hardest of houseplants. (See the ZZ Plant for another great option!) 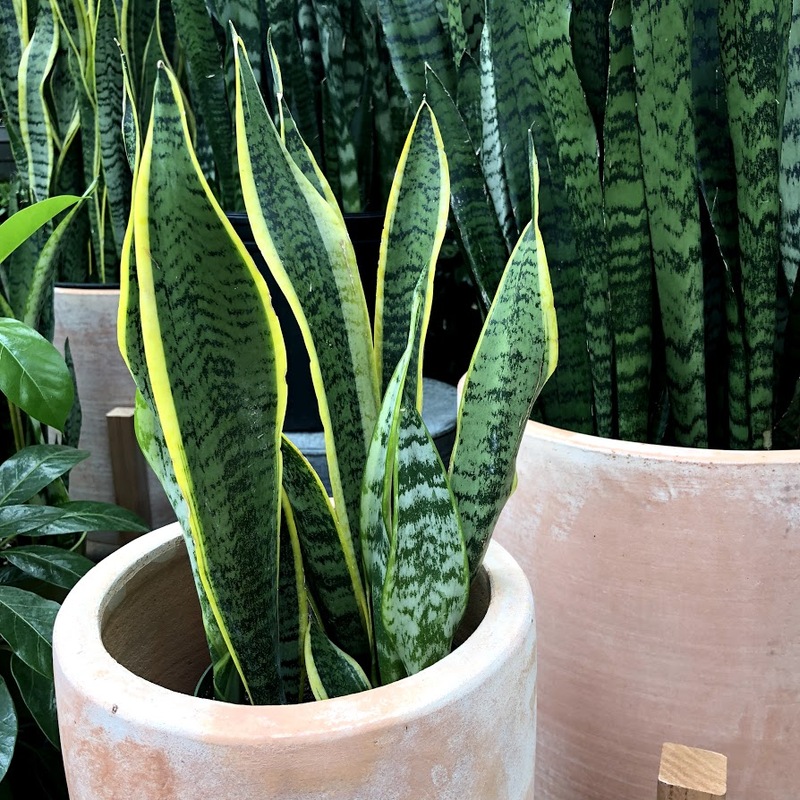 Boasting striped foliage and available in a variegated form too, we've always got a great selection of them in the Atrium! Light: Tolerant of low light, this is the perfect plant for those who like to sleep late with the blinds drawn, or those dark corners that are screaming for a little greenery. Water: This is the plant for those underwater-ers out there! It can go weeks (and some even say months) without a drop of water but to keep it looking its best, give it a drink every week or so. When you leave on winter vacation, don't worry about watering, we recommend backing off watering in the winter months when things are a little bit cooler. The classic "clean air plant." The Spider Plant is great for a little movement and shape in your space. And we especially love when it begins to propagate and little baby plants start raining down from the mama! Water: Give it a drink regularly, every week in summer and less frequently in winter. Our favorite part about this plant is how it tells you when it's thirsty, it's leaves will begin to droop a bit and with one small watering, it's back to its happy, hydrated self! Easy as pie! It's leaf green leaves grow on winding stems that can be led up or down hooks, shelves or tables (even that mini fridge!) for easy, beautiful greenery. Light: Does well in bright, indirect light but if you've got a low light corner, it'll take it! Water: Water weekly in the warmer months or if it's near a heating vent, and in winter less frequently. When customers are looking for tough houseplants, the ZZ and Sansevieria are our recommendations. It's thick stem can hold water for weeks, so when you forget to water this baby still looks great! Plus breathe easy, the ZZ is a clean air plant, helping to purify the air around you! Light: It'll take anything you've got: bright, medium, low and that spot you thought nothing could grow in! Water: Water sparingly, too much is about the only way to kill this plant. Check in with our staff in the Atrium and let us help you find the perfect houseplant today!